When Mayo Clinic scientists Jonathan and Paula Hoyne learned their 7-year-old son had type 1 diabetes, they began learning anything they could about the disease, including how they could help others. 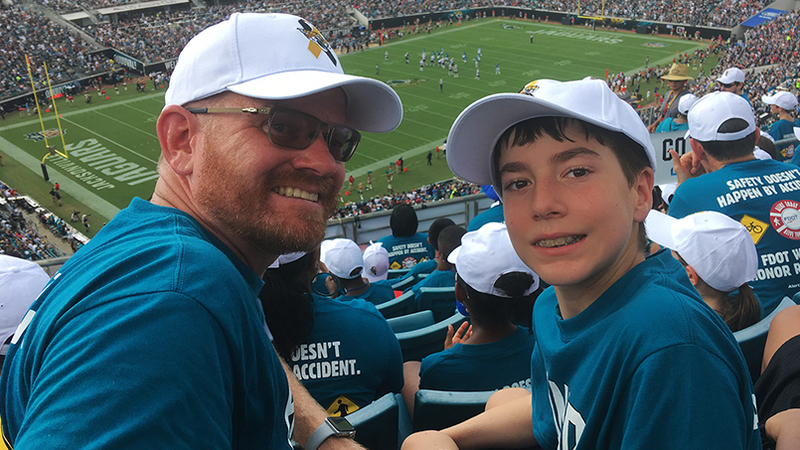 Five years ago, a bout of abdominal pain sent the 7-year-old son of Jonathan Hoyne, Ph.D., to the emergency department. 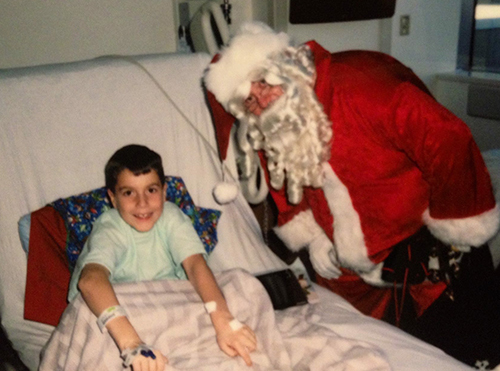 The next day, blood work revealed a surprising diagnosis: young Jonathan had type 1 diabetes. "My wife and I are scientists," Dr. Hoyne, director of chemistry in the Department of Laboratory Medicine and Pathology at Mayo Clinic's Florida campus, says. "We met in Rochester while we were getting our Ph.D.s at Mayo Clinic Graduate School. From a book-knowledge standpoint, we were about as ready as we could be for this diagnosis," he tells us. But as parents, they weren't ready at all. So he and his wife, Paula Hoyne, Ph.D., became students again, learning as much as they could about the disease and how to care for their son. In the years since, their devotion to that learning hasn't wavered. "Parents of kids with type 1 diabetes think about diabetes constantly," Dr. Hoyne says. "It's like having a newborn forever." Still, Dr. Hoyne knows that in many ways, his family is lucky. A hundred years ago, type 1 diabetes was a death sentence. Children rarely lived more than a year or two after diagnosis. Then, in 1922, a team of scientists discovered insulin treatment. "It is one of the great miracles of medicine," Dr. Hoyne says. "Kids were lying in hospital beds, dying. Then given insulin, and their symptoms disappeared. Seldom in medicine do we have such a huge success." Dr. Hoyne is grateful for more recent improvements in treatment as well, and for the dedicated researchers and devoted parents who have created the tools and technology that help the Hoynes manage their son's disease. Tools like Jonathan's continuous glucose monitor, which sends blood sugar readings to his parents. "People who came before us raised money for research and now we have the ability to check his blood sugar every five minutes on our watches," Dr. Hoyne says. "The dad of a kid with diabetes figured out how to do that." While he hopes for a cure, Dr. Hoyne knows that is likely many years away. But he believes major improvements in care are within reach. He's especially optimistic about the development of an artificial pancreas, which he expects to be widely available within the next five to 10 years. "That technology will make a significant difference in my son's life," Dr. Hoyne says. In addition to raising funds, Dr. Hoyne is also committed to raising awareness of the signs and symptoms of diabetes, which can sometimes mimic those of a minor virus. "If your kid's been sick for a while with cold or flu symptoms, push your provider to test for diabetes," he says. "Get a finger stick. It's quick, it's cheap and it's an easy thing to rule out." Or, as Dr. Hoyne knows, to rule in. Got something to say? Run over and leave a comment below. Then use the handy social media tools to share this story with others.